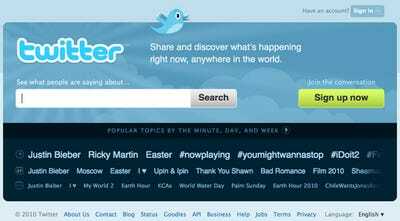 Twitter rolled out a new, redesigned homepage, the company announced today. 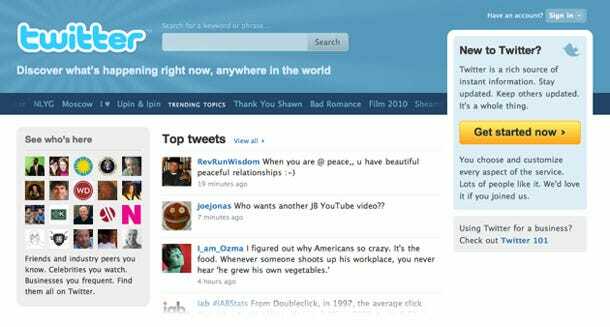 We like this one much more than the last one: Most important, this should do a better job than the last homepage at showing non-Twitter users what Twitter is all about — something Twitter has always had trouble doing. It does so by surfacing much more interesting information — hot Twitter users, top tweets — than the last one, with more pictures. 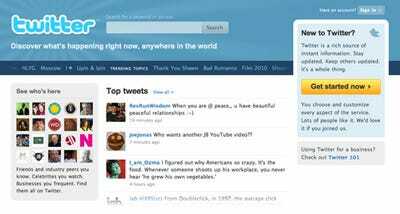 It also looks a little more inviting — the old, all-blue homepage always seemed bleak.